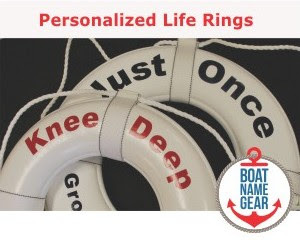 If you don’t want to start an entire business, but want to benefit from sharing the costs and hassles of boat ownership with a few friends, two new products came out just in the past 30 days that may be right for you. One is ShareZen, an online application that (according to the company's press release) makes it easy for people to manage shared assets by offering them a simple system for scheduling use, tracking shared expenses, keeping up on maintenance and fostering owner communication. ShareZen is a Pacific Northwest startup that, in addition to boats, helps manage fractional ownership of homes and planes. Online at sharezen.com. ShareZen and myBoat are available for monthly fees that start at less than $25 per boat – a small price to pay to make boating easier and more affordable without sacrificing your relationships. Thanks for covering the topic of shared boat ownership and for mentioning ShareZen. ShareZen is free for 30 days. After that the price ranges from free (for a single owner who let's friends use the boat from time to time) to $39.95 a month for large groups with 12 owners and 24 additional boat users. Most boat owners fit into the $14 or $24 a month plans. Agreed. This has been one of my passions for a over decade now. Giving people access to boating where they might not have had the opportunity or at least through a significantly reduced cost. Our sharing software specifically for boats does all kinds of cool things like showing the education level of all your partners. And through the two companies I've owned, SailTime and Beneteau Fractional, we've really got the boat sharing software down pat. The cost of the online boat sharing software is $4.44 per month. When you don't use software you get 25% of the boat for 25% of the ime. When you use scheduling software you get almost 90% access to the boat with 25% of the cost. Bravo to the ShareZen guys to for sharing the passion also. 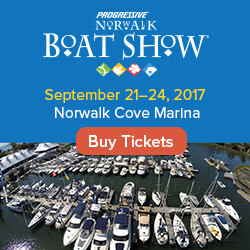 Boat sharing seems like a good was to get into boating or to maintain your boating passion on a limited budget given the current economy.